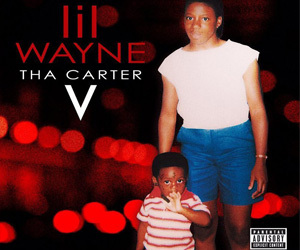 Tonight at 9PM, there will be new music being released from Lil Wayne‘s upcoming Dedication 6 mixtape, due to drop on Christmas Day. 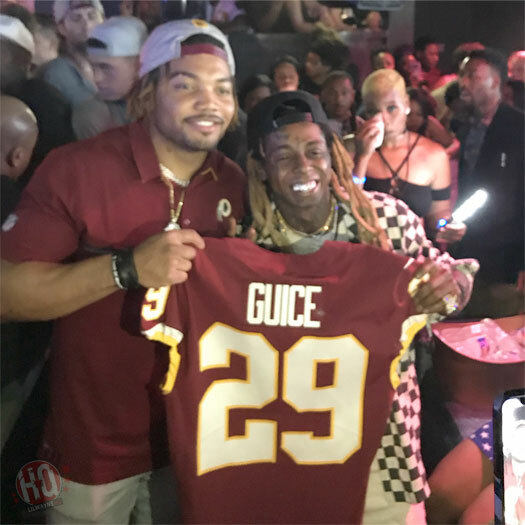 Two of Weezy‘s Young Money APAA Sports athletes, Duke Riley and Dede Westbrook, will premiere the songs on their social media first. 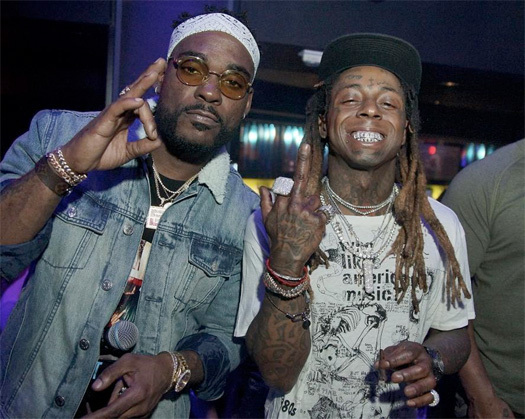 One of the records will be a solo Wayne freestyle over 21 Savage’s “Bank Account” beat and another one will be called “Blackin’ Out” featuring Euro. You can check out the American football players confirm this news after the jump below! 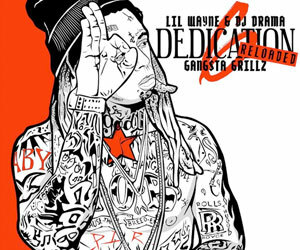 Who is hyped to hear these D6 tracks from Tunechi? 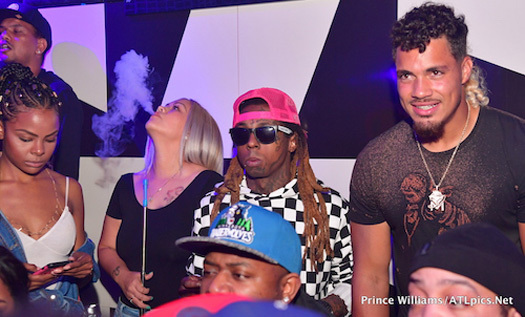 Lil Wayne hit up LIV nightclub in Miami, Florida on November 12th for his usual “LIV on Sunday’s” appearance. 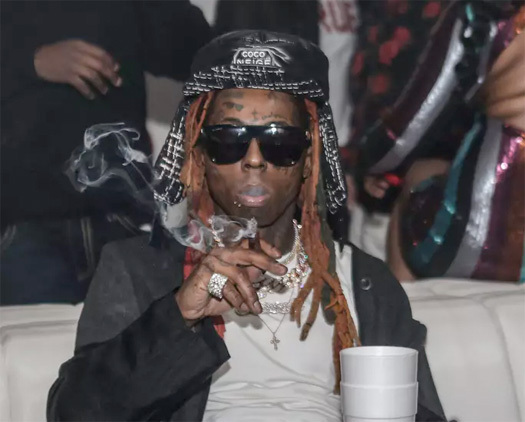 You can check out some footage of Weezy and Mack Maine at LIV in Miami as Cardi B’s “Bodak Yellow” and Drake’s “KMT” songs play in the background after the jump below. 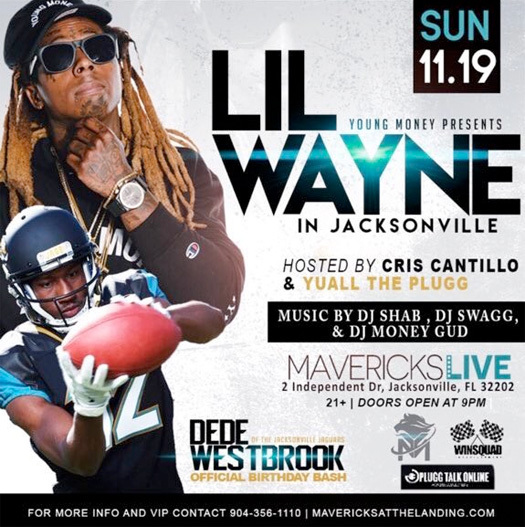 In other news, Tunechi‘s birthday bash for NFL player Dede Westbrook at Mavericks Live in Florida this Sunday (November 19th) has been postponed as Jacksonville Jaguars players aren’t allowed to club during the season! On November 19th, Lil Wayne will be hosting an official birthday bash for Dede Westbrook at Mavericks Live in Jacksonville, Florida. If you wish to attend the event for the NFL wide receiver, click here to order your tickets online, which cost $25.00 to $40.00. Will you be attending Tunechi‘s birthday party for the Jacksonville Jaguars player this Sunday? Doors will open from 9:00PM!